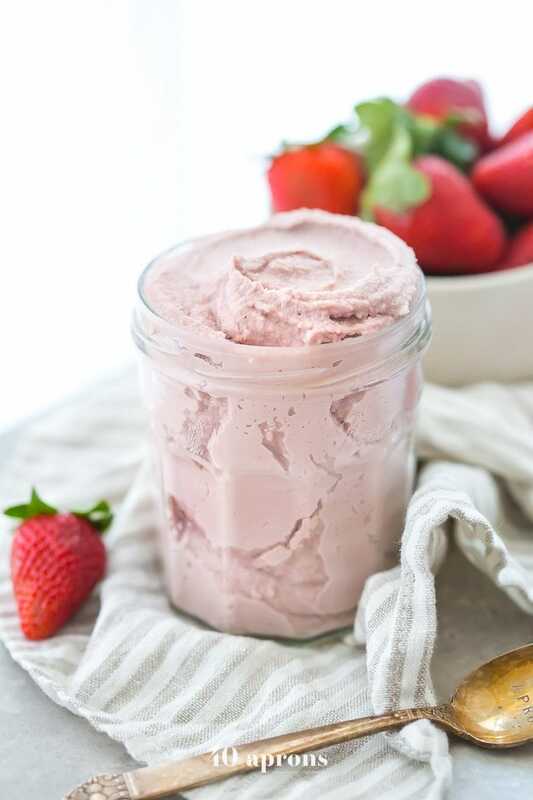 This strawberry coconut butter is rich, creamy, and fruity. You’ll want a jar of this Whole30 coconut butter in your fridge all summer long! Made with only 2 ingredients, it only takes a few minutes to come together, and you’ll fall in love with this Whole30 coconut butter. Promise! A Vitamix blender is perfect for this recipe. Confession: I was a late coconut butter bloomer. So when strawberry season rolled around this year, I just had to combine the two. 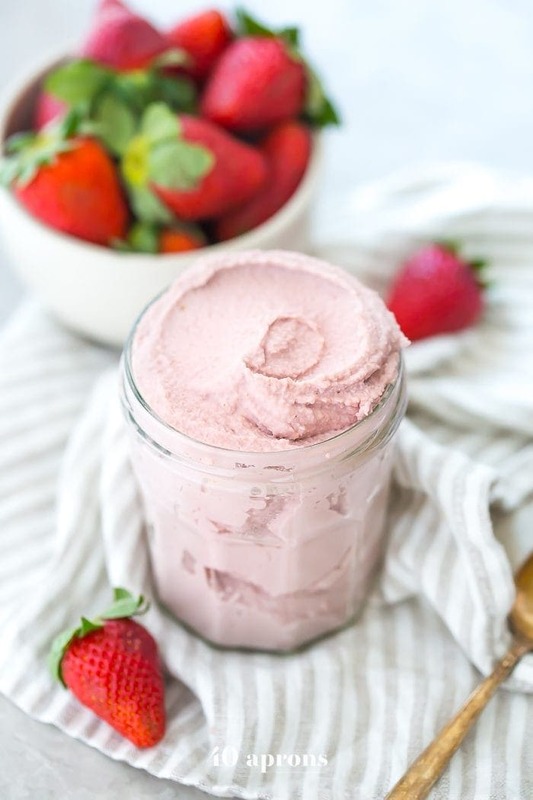 Creamy, rich coconut butter with bright, juicy strawberries? Yes, yes, a thousand times yes! We kind of love strawberries in our house. Need proof? Leo ate the green part at our Whole30 picnic. And then again on Mother’s Day. 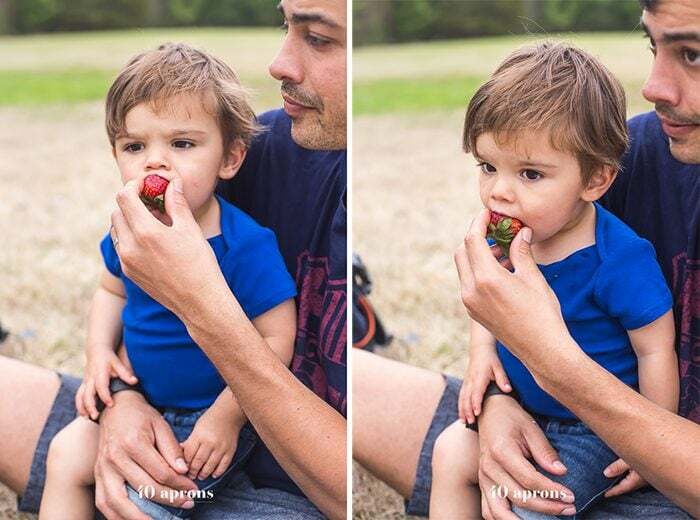 And then again at grandma’s 60th birthday party… He’s kind of really into “stah-bees,” and we’re kind of forgetful when it comes to hulling strawberries apparently. But more important question: Am I a horrible mother for keeping this strawberry coconut butter all to myself? No need to answer that one out loud. This Whole30 strawberry coconut butter isn’t quite as drippy/creamy as a regular coconut butter and has more of a thick and dense texture. It would be amazing on sweet potato toast, drizzled over a paleo porridge, as a dip for other fruit (super meta), literally straight from the jar, or… do I have an ‘or’? You’re definitely going to want to make sure you’re subscribed so you don’t miss this recipe. It’s phenomenal, y’all. Phe-nom-e-nal. Emphasis on the nom. 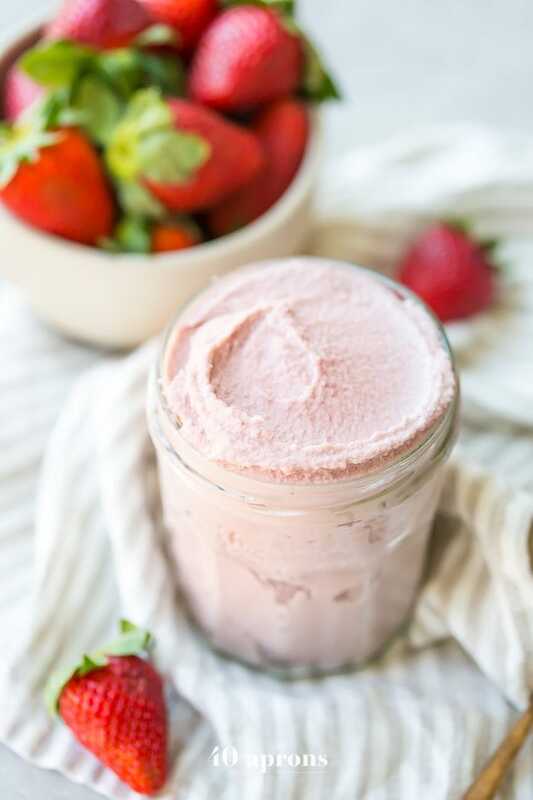 This strawberry coconut butter is rich, creamy, and fruity. You'll want a jar of this Whole30 coconut butter in your fridge all summer long! Made with only 2 ingredients, it only takes a few minutes to come together, and you'll fall in love with this Whole30 coconut butter. Promise! Place coconut in blender and start processing. Use damper to press coconut down so blender blitzes all shreds. Once all coconut is a consistent powder-like texture, work speed up to high. After 1 minute on high, turn off. Let rest 1 minute. Turn blender back on high and blend 1 more minute. Add in strawberries and, using damper, blend until totally smooth. Keep in airtight container in the fridge. Yummy! This makes a lot for only being able to keep in the fridge for a week. How do you eat it all in a week’s time? Do you have other serving suggestions for this goodness? Thanks! This looks yummy! Do you think halving the recipe will effect consistency? I wouldn’t think so, as long as you can get the mixture compressed into the blade enough! Dried unsweetened flakes are great! Could you just use coconut flour? Or would it be too fine? Meggan, coconut flour is defatted so it won’t turn into butter. How long would this last in the fridge before spoiling? I would recommend keeping it in the fridge for about a week. I think you could! Raspberries would probably be wonderful. I would start with fewer berries, though, and taste as you go. 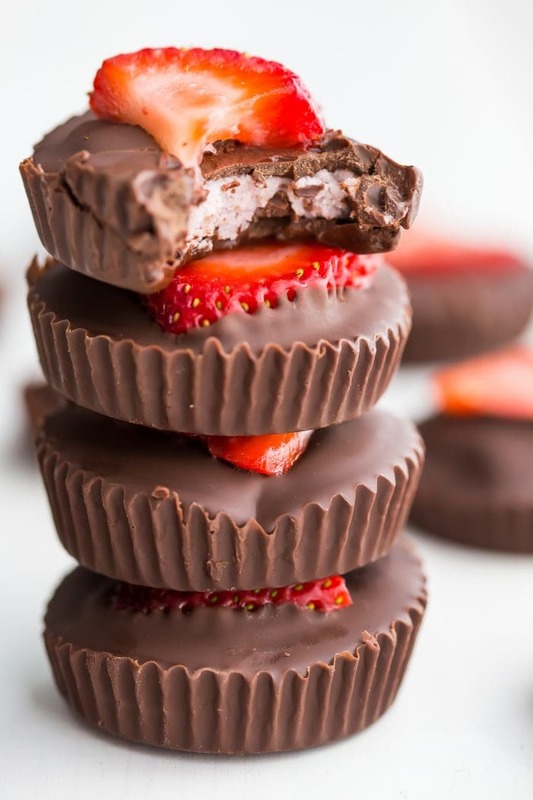 Strawberries are a little less strong in flavor than other berries, so you could easily overpower the coconut by using 4 cups of something else. I’d love to hear if you try it!